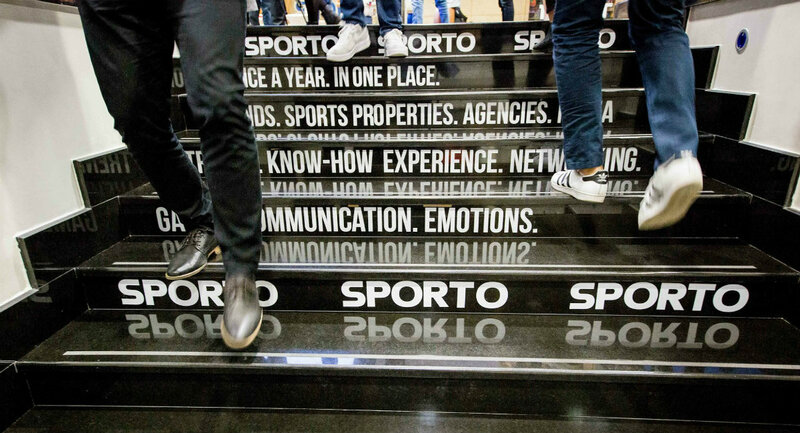 It is just ten days until the newest edition of the SPORTO Conference (22-23 November) ̶ a platform for brands, sports properties, agencies and the media to share ideas, experience and industry know-how since 2004. There has never been such diverse line-up of speakers, coming from eight different countries this year, including the presidents of two renowned European sports associations Aleksander Čeferin (UEFA) and Aleksandar Boričić (CEV). Experts in their fields will present trends and challenges with one touch point – harnessing the power of sport. The 15th SPORTO Conference, the leading event of its kind in this part of Europe, remains a great opportunity for networking. This year’s SPORTO will begin in a slightly entertaining but still very serious manner – with the introduction of the first guests. Hero the Hedgehog, the mascot for last year’s IAAF World Athletics Championships, stole the show and captured the hearts of the audience, including stars like Usain Bolt, setting new standards of fan engagement. A story will be presented by Ian Mollard (Curiosity 360 Productions). He will be joined by Kris Schoeters, an experienced moderator of sports spectacles (Harlem Globetrotters, ATP, WTA, UEFA Futsal EURO) and ambassador of sports entertainment. All through to Thursday noon, SPORTO will sneak into the world of digital media and marketing. Jerry Newman, Head of Facebook Sports Partnerships, will delve into how sports businesses all over the globe are using Facebook and Instagram, while Kenny Ager, Client Services Director at WePlay (clients include La Liga, FC Barcelona, PGA European Tour, Yokohama and Red Bull) will discuss monetising digital for rights holders and brands. We will be heading to Russia and the FIFA World Cup 2018 next. Jeremy Edwards (Activative) will share the impressions of the sponsorship environment and the activation of this year’s largest sports spectacle, and we will learn first-hand about the Croatian football family (campaign #Obitelj), the world vice-champions, whose efforts before, during and after the World Cup will be presented by the Head of Communications Tomislav Pacak. The iconic Chicago Bulls have become one of the leading NBA teams in terms of diverse and branded (sponsor) content. A look into the Bulls content philosophy and the content filter that they have created and which won them SportsBusiness Journal’s “Best in Sports Social Media” award (US) will be presented by Luka Dukich, Senior Digital Content Manager with Chicago Bulls. Carsten Thode, Chief Strategy Officer at Synergy (clients include Coca-Cola, Bose, Beko and Under Armour) will share his views of the current sponsorship landscape and what he calls passion-powered marketing. The first day of the conference will conclude with two volleyball presidents, European Aleksandar Boričić and Slovenian Metod Ropret. They will take us into the world of today’s volleyball and into the background of preparations for Eurovolley 2019, hosted also by Ljubljana. Toby Hester (Sponsorship Coach, European Sponsorship Association), the Chair of SPORTO Awards, will raise Friday’s blinds on the SPORTO stage in a discussion with content marketer Neil Morley (Cat’s Eye Communications) and renowned marketing director Vlatka Kamenić Jagodić (HEP), also a member of the jury. The trio will reveal the remarks about this year’s prize winners. How do Wimbledon and IBM, with a combined 230-year history, cooperate to stay relevant and help change the experience of tennis? Sam Seddon (IBM, Wimbledon Client & Programme Executive) explains. Aleksander Čeferin was elected as the seventh UEFA President in September 2016 and at the same time he became the vice-president of FIFA. At the SPORTO Conference 2018, he will share his experiences in managing a leading sports organisation that defines trends for various aspects of the sports business. In his exclusive interview, he will touch on UEFA’s (marketing) products, such as the UEFA Champions League and women’s football, new partnership with Alipay (Alibaba), ongoing campaigns and his vision for the future. Paul Rogers, Head of Digital and Social Media at AS Roma, is behind AS Roma’s digital (r)evolution and mental transformation that is a part of the process. Do not miss out on the insights for rights holders and brands about their approach, trends they see and how they measure (digital) success. 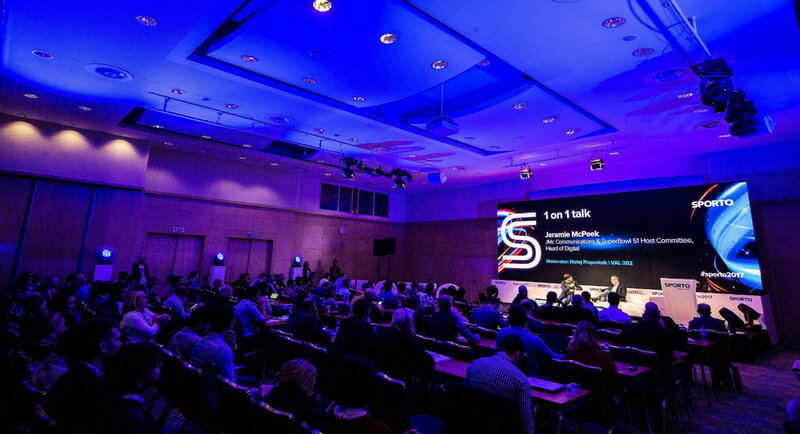 In the final part of the conference, the SPORTO stage will host Kenechi Belusevic from the media giant Discovery (also Eurosport) and Blaž Jarc from the local broadcaster Planet TV (with media rights for Slovenian Football League and the basketball ABA League). The main topic of discussion will be changed audience habits and their different consumption of sports. Who will win a SPORTO Award, who will become a SPORTO Brand? In addition to the programme itself, the traditional SPORTO Dinner & Party, taking place at the end of the first conference day on Thursday, is not to be missed. At the Awards & Brands Ceremony, we will present, together with the European Sponsorship Association (ESA), the SPORTO Awards in five categories – as well as the SPORTO Brands awarded in Slovenia, Croatia and Serbia in association with Mediana Institute for Market and Media Research (for most recognized, popular, successful and marketing-wise appealing female and male athletes and sports clubs).